IMPORTANT - PLEASE READ THESE TERMS CAREFULLY BEFORE USING THIS WEBSITE. YOUR USE OF THIS WEBSITE AND/OR ITS CONTENTS INDICATE THAT YOU HAVE READ THESE TERMS, THAT YOU UNDERSTAND THEM, AND THAT YOU ACCEPT THEM AS PRESENTED. IF YOU DO NOT AGREE TO THESE TERMS, DO NOT USE THE WEBSITE. 1. Comodo Website. This website is the general promotional website for Comodo branded websites through the participating entities, including Comodo Group, Inc., Comodo Security Solutions, Inc., and DNS.com, LLC. (individually and collectively referred to herein and on the website as "Comodo"). The website is maintained by Comodo Group, Inc. in order to inform visitors about the Comodo branded services and products offered by the various entities. Use of the website is subject to the terms presented herein which are subject to change by Comodo without notice. Accordingly, please review these terms each time you visit the website to be aware of any changes. 2.Use of the Website. The Comodo website is provided on an "as is" and "as available" basis for your personal or internal use. Specifically, you may download, display, reformat or print any part of the website for personal (for individuals) or internal use (for businesses) but may not modify, copy, distribute, transmit, display, reproduce, publish, license or otherwise use any content for resale, distribution, marketing of products, or other commercial uses. The website and its contents may not be used for any unlawful, abusive, libelous or threatening purpose. You may not use the website in any jurisdiction where its contents or use would be restricted or prohibited by law. You grant Comodo a royalty-free and irrevocable license to use any information submitted to Comodo through the website. 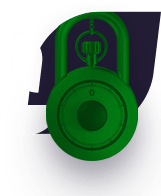 By submitting information to Comodo, you warrant that the information is accurate and that the use of the information will not violate the rights of any third party. 3. Comodo Products and Services. Each Comodo company offers separate products and services through this websites, each of which are subject to additional terms and conditions. The additional terms and conditions are presented when applying for the products or services (each a "Subscriber Agreement" or "End User License Agreement"). These terms do not modify or supplement the Subscriber Agreement or End User License Agreement and relate solely to the accessing and content of the website. Questions about products and services should be directed to the specific Comodo entity offering the product or service. Nothing on the website shall be construed as a warranty or representation of the products or services except where such representation or warranty is explicitly included in the relevant Subscriber Agreement or End User License Agreement. 4. Intellectual Property Rights. All content on the Comodo websites is owned by one of the Comodo companies or a licensors and no ownership rights are granted herein. You may not use any Comodo trademark, logo, or other proprietary information without Comodo's express consent, including the use of such information in links, meta tags, or hidden text. Any use of these Comodo's intellectual property on another website or for commercial purposes is prohibited unless authorized in writing by Comodo. The Comodo website may also contain links to websites operated by third parties. These links are provided for convenience only, and Comodo does not endorse, monitor, control, or verify the contents of these sites. Comodo is not liable for any content accessed through a link or for any damage caused by a third party site. Comodo respects the copyrights of others. If you believe that your work has been copied in a way that constitutes copyright infringement, please contact Comodo in accordance with the DMCA procedure available at https://www.comodo.com/repository/copyright-infringement.php. 5. Trademarks. "Comodo", "Creating Trust Online" and other terms used on the website are trademarks owned by Comodo and/or its affiliates. No rights are granted to Comodo's trademarks other than as required by the typical use of the website. The Comodo website and its contents are protected under US and international copyright law. 6. Disclaimer. COMODO MAKES NO WARRANTIES OR REPRESENTATIONS ABOUT THE WEBSITE, ITS CONTENTS, THE LINKS, OR ANY INFORMATION PRESENTED. THE WEBSITE IS PROVIDED "AS IS", AND COMODO EXPRESSLY DISCLAIMS ALL WARRANTIES, WHETHER EXPRESS OR IMPLIED. THIS DISCLAIMER INCLUDES ALL WARRANTIES OF MERCHANTABILITY, FITNESS FOR A PARTICULAR PURPOSE, AND NONINFRINGEMENT. YOU ARE SOLELY RESPONSIBLE FOR YOUR USE OF THE WEBSITE AND ITS CONTENTS. YOU AGREE TO WAIVE ALL LIABILITY OR CLAIM AGAINST COMODO THAT MAY RESULT OF YOUR USE OF THE WEBSITE AND ITS CONTETNTS. COMODO IS NOT RESPONSIBLE FOR ANY DIRECT, INDIRECT, SPECIAL, CONSEQUENTIAL, INCIDENTAL, OR PUNITIVE DAMAGES, EVEN IF IT HAS BEEN ADVISED OF THE POSSIBILITY OF SUCH DAMAGES. THESE DISCLAIMERS AND LIMITATIONS ON LIABILITY SHALL APPLY TO THE MAXIMUM EXTENT ALLOWED BY LAW. 7. Indemnity. 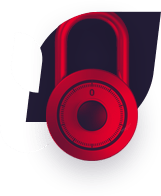 YOU AGREE TO INDEMNIFY AND HOLD HARMLESS COMODO AGAINST ANY THIRD PARTY CLAIM WHERE SUCH CLAIM ARISES OUT OF YOUR USE OF THE WEBSITE, INCLUDING THE USE OF ANY LINKS ON THE WEBSITE OR YOUR SUBMISSION OF ANY CONTENT THROUGH THE WEBSITE TO COMODO. Use of the website is governed by the laws of the state of New Jersey without regard to any conflict of law principles. Any legal action or proceeding relating to the use of the website must be instituted in the state or federal courts of New Jersey, which have exclusive jurisdiction. Governing law for use of the products and services is set forth in the relevant Subscriber or End User License Agreement.